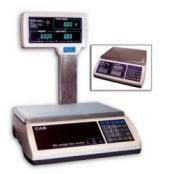 Whatever you need to weigh, we at Central Carolina Scale have a weighing scale to fit your requirements. We have an extensive line up; including industrial items like heavy capacity truck scales to the most accurate lab balances and parts counting scales available. Because we sell so many scales, we can offer our customers the best prices on almost every model of scale, balance, and load-cell available. Contact us today and we can assist you in finding the best item(s) to fit your need. No matter if it's a standard item or unique application / requirement. We also offer calibration and repair service with factory trained state certified scale technicians complete with traceable test weights and calibration certificates. 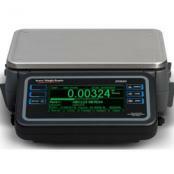 We have been selling, calibrating, and repairing industrial scale and weighing equipment for over 30 years. We distribute equipment throughout the country and offer over 40,000 products (and counting) — the largest selection of quality weighing products available—and the best customer service in the business. Call our knowledgeable customer service/applications support technicians at (919) 776-7737. They are available to help you from 8:00am to 4:30pm EST Monday thru Friday. We stock a huge inventory of replacement parts! Are you looking for help servicing your scale and or printer? Need new labels? Our repair service department is factory trained. 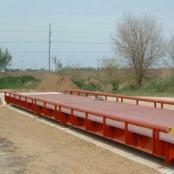 B-Tek Centurion AT Truck ScaleThe B-Tek Centurion-AT is standard with 3/8" steel or 8" concrete deck surface. Safety sight rail is an available option. The steel or concrete deck Centurion-AT weighbridge can be supplied with a hot dip galvanized finish for extreme corrosion protection.